With seven years of teaching experience under her belt, Ellen Moffatt is developing both a national and an international presence. Her work at Korowa Anglican Girls’ School has involved the design and implementation of a school-wide wellbeing curriculum. She has also created an exciting year of challenge and choice for Year 9 students, who enjoy peak learning experiences each term that complement their academic endeavours. 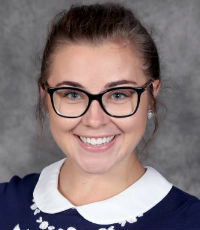 When undertaking her masters of education at the Melbourne Graduate School of Education in 2016, Moffatt developed a passion for educational neuroscience, particularly the neurobiology of the ‘aha’ or ‘light bulb’ moment. She was invited to speak at the 2018 Global Forum on Girls’ Education in Washington, DC, where she shared a synthesis of current research on the topic and proposed areas for further research.